With the US Attorney General Eric Holder in Afghanistan this morning conducting high level talks about their legal systems it was very appropriate that we met with Col. Chadwick W. Clark, deputy commander for Combined Training Advisory Group Police (CTAG-P) during a Department of Defense Roundtable to continue our discussion of the Afghan National Police (ANP) training programs. The critical nature of the ANP training efforts and how it fits into the overall war effort to win the hearts and minds of the Afghan people was a great topic. The Afghan and NATO men and women with boots on the ground in Afghanistan will be the ones deciding if this war is won or lost. The police training sets an expectation and standard for the ANP! With a force of officers that needs to develop respect and communication with the population, leadership and training are key! To win the war effort and defeat guerilla/terrorist forces such as the Taliban and Al Qaeda the police force needs to be part of the resolution; not part of the problem. C urrently, there are 105,840 police officers in 5 branches according to Col Clark. The branches include border police, uniformed (beat cops), gendarmerie (civil order), anti crime police and an Afghan protection force. The NATO forces want to “raise the bar” on quantity and quality of the force in the next 16 months! They also plan to double the training seats from 10,300 right now to 24,000 by February 2012. I asked how they were specifically going to raise the bar for quality while increasing the throughput so quickly with the number of trainers they currently have in place. Clark said they are transitioning from a contractor force of instruction to a professional police trainer force from organizations such the French Gendarmerie and Italian Carabinieri. There are 400 police instructor trainers from Romania, Turkey, France, Italy and Germany. It appears that more police trainers would help meet their goals but a new requirement for an increase in their numbers must be validated before it can be forwarded for a personnel fill. 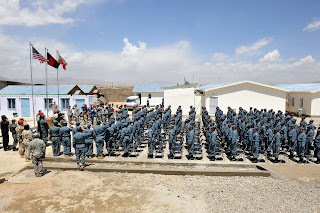 The current police trainers go through preparation at home and upon arrival in Afghanistan. 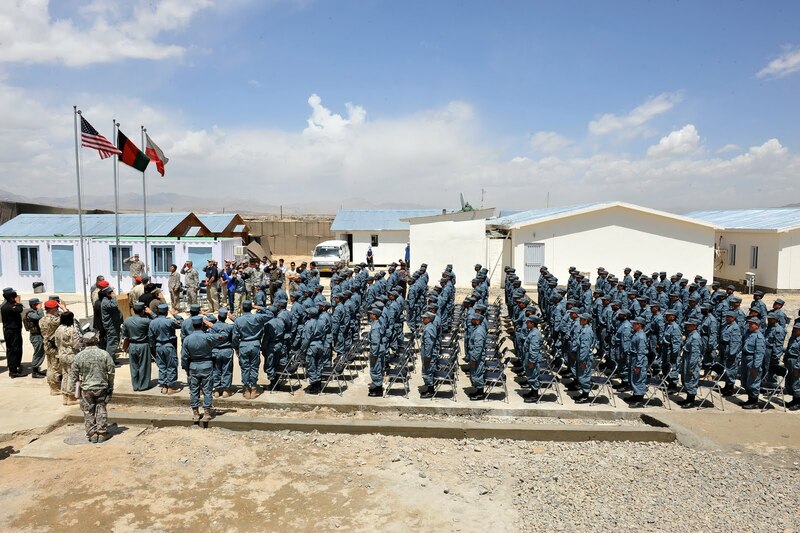 The program includes read ahead training information and preparation prior to their deployment, two days of indoctrination training on the Afghan culture and a five to ten day turnover transition at each location/training center. Their coaching and side by side efforts with Afghan trainers will provide the best mix for success in the Afghan culture. They have an aggressive goal of training 70,000 officers in the next 16 months which compares to 42,500 trained in the last 5 years! The NATO Combined Training Advisory Group Police focus is to grow leaders for the ANP as well as the expanded force structure. NATO is establishing six new leadership courses for “ANCOP Company Commander and Battalion Commander courses, Provincial Commander Course, and Company, Battalion and Brigade Commander courses”. The key is to train the Afghan leaders and instructors so they can make the training at training centers and unit level more effective due to cultural and literacy issues. Much of the force is illiterate and part of their course of instruction includes two hours of literacy training each night. So a power point presentation is not the right program of instruction but more hands on training, role playing and effective leadership must be relied on to create this critical force! 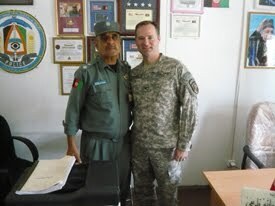 If you would like to read more about our efforts in Afghanistan please go to the MilitaryAvenue Reading Room or Our Letters to You/Afghanistan blogs. If you would like to listen to this very interesting Roundtable please go to DoDLive where you can also find a transcript of the discussion!